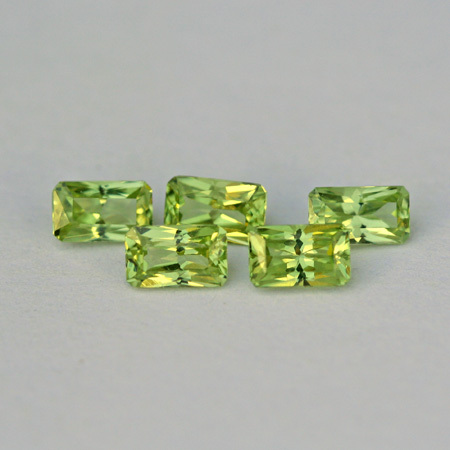 Merelani Mint Garnet is a trade name for green grossularite garnet that are light in tone. These gems are mined in the Merelani foothills of Tanzania, Hence the name. 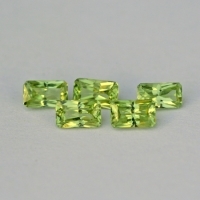 Darker in tone green grossularlite garnet are known as Tsavorite. These are natural gemstones and quite beautiful. Garnet is the designated birthstone for January. Vivid light green color. Excellent cut and polish. VVS, almost loupe clean. There are 5 of these fine gems available. Price listed is per gemstone.